WIN! 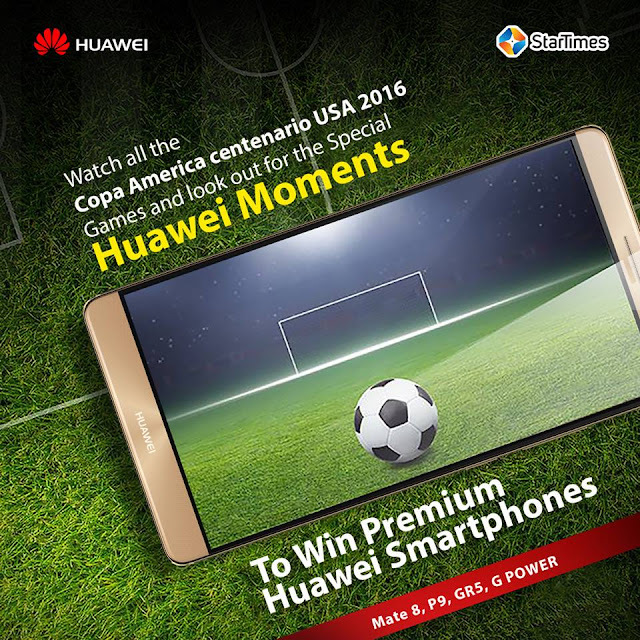 Premium HUAWEI SMARTPHONES by watching Copa America Centenario USA 2016 on StarTimes and sharing this post with your friends, to win FREE airtime. ⦁ There will be a post with questions about the Special Huawei moments on both www.facebook.com/huaweimobileng/ & www.facebook.com/StarTimesNG/. Look out for this post and..